Last night, Neil Young and Jackson Browne performed at a benefit for Ocean Elders, an organization dedicated to protecting the world's oceans. The benefit was held at the City Winery in New York City and Neil Young performed two songs: "Blowin' in the Wind" by Bob Dylan and "Changes" by Phil Ochs. 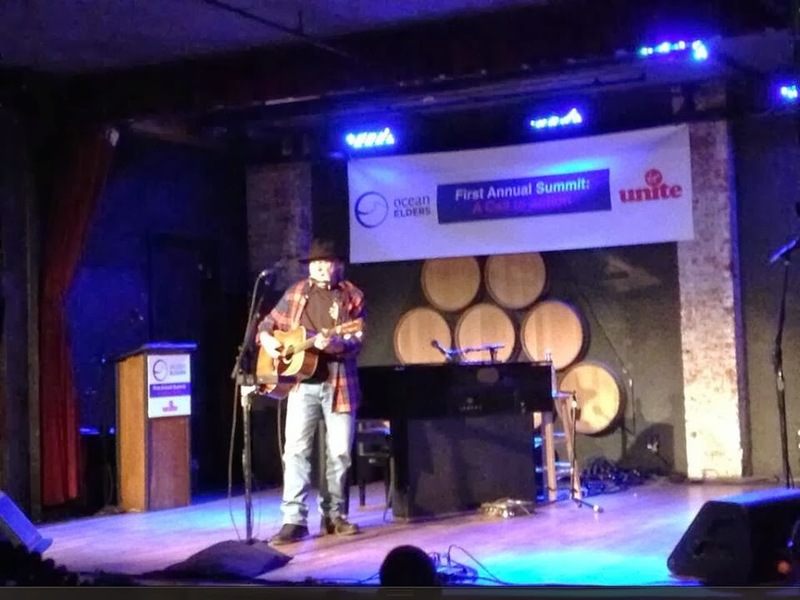 More coverage on Neil Young, Elvis Impersonator Play Intimate New York Benefit Gig | Music News | Rolling Stone by Andy Greene. Grrrr... Wish I knew he was going to be there ... We were just there a week or so ago to see World Party who happened to do a great cover of "Out on the Weekend". Such a great venue! Neil sortirait un album que vous appelez "cover" d'ici un mois ? Avez-vous des informations à ce sujet ?